A collection of five outstanding self-contained cottages set among the vineyards and olive groves of the Lower Hunter Valley wine region. 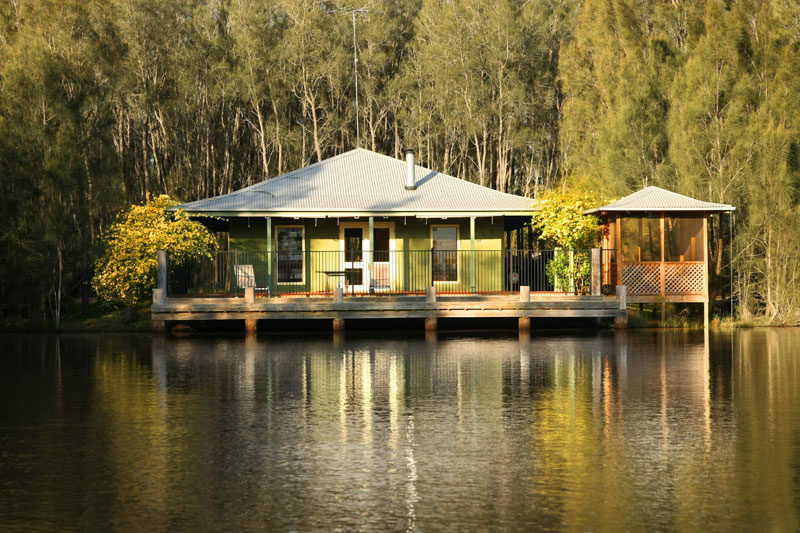 Australian Traveller Magazine’s 100 Great Australian Holiday Homes. A collection of five outstanding self-contained cottages set among the vineyards and olive groves of the Lower Hunter Valley wine region, Billabong Moon is focused on privacy above all else. 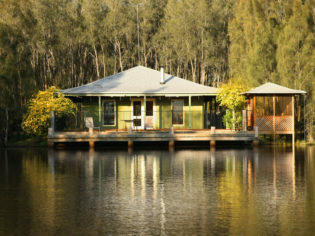 There’s the two-bedroom Casuarina Cottage, so called because it’s hidden in a thick forest of slender, evergreen Casuarina trees; the gorgeous two-bedroom Billabong Cottage, perched over a peaceful dam with two large decks; the more rural, one-bedroom Sunset Ridge Cottage, with views of the Brokenback Range; the inviting Studio Cottage, with its quirky interiors and carved wooden furniture; and the sublime Treetops Cottage, set 3m aboveground with wraparound verandahs and a cheeky outdoor bathtub, tucked behind an ornate Phoenix Gate. At Billabong Moon you can be served attentively or left completely to your own devices – but we heartily recommend you partake in at least one of the property’s more remarkable on-call extras: a Red Wine Bath, which promises to moisturise, hydrate and above all, relieve stress. Details // Hermitage Rd, Pokolbin, NSW. From $240 per night. www.billabongmoon.com.au, (02) 6574 7290.